East Harlem / El Barrio’s 125th Street corridor boasts the natural assets of a world-class cultural, business, and transportation center that could anchor good jobs, small businesses, green public spaces, and other services for the people who live, work, and visit the area. But instead of serving community needs, the area currently struggles to stay afloat. Years of neglect, disinvestment, and short-sighted planning from the public and private sectors have stifled opportunity, undermined living standards, and allowed severe racial, economic, and environmental disparities to proliferate. In tandem, East 125th Street property owners have kept an alarming 25 percent of the storefronts vacant1 while they hold out for the market to turn in their favor. As a result, East Harlem – and the East 125th Street area in particular – have been locked in a downward spiral that has produced some of the city’s worst levels of asthma, unemployment, food insecurity, homelessness, climate vulnerability, and more. Now as the Second Avenue Subway Phase II project advances, outside landlords and investors are scrambling to take advantage of New York’s next real estate goldmine. Together with the 2017 East Harlem rezoning and federal “opportunity zone” tax breaks, the subway extension is enabling a low-road development model that rewards displacement and puts the future of the corridor and community into the hands of developers. 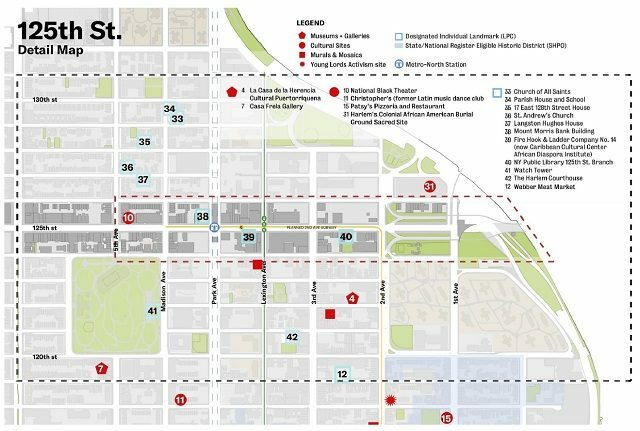 With the tallest construction ceiling to date, an expanded target market of new subway riders, and rising property values all promising top-dollar payoffs, developers have a highly attractive incentive to invest in developments that are out-of-reach and out-of-character for the existing community. Long celebrated as one of New York City’s last bastions of affordability and Latino culture, East Harlem / El Barrio is at risk of losing that distinction. What if development decisions were made based on a commitment to social impact, shared prosperity, and community voice, rather than narrow outside interests? 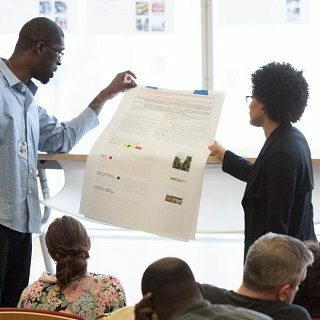 How might we use transit-oriented growth to spur resources and attention to community concerns, enhance local assets and wealth, and improve quality of life, particularly, for the low-income, people of color who have long called the area home? 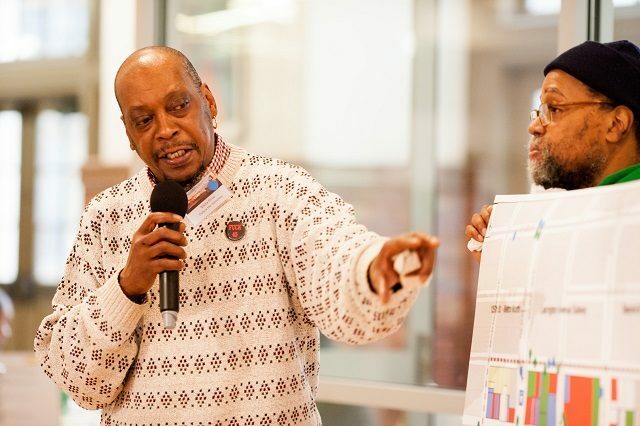 With these questions in mind, and with support from WE ACT for Environmental Justice, East Harlem community members and stakeholders began coming together to build a big-picture vision for the East 125th Street corridor in September 2017. Since then, we have grown from 11 people at an initial meeting to a community planning platform that has engaged more than 400 residents, transit riders, employees, small business owners, neighborhood activists, and government leaders from throughout El Barrio. We knew that the Second Avenue Subway expansion along with the rezoning and opportunity zones represent a once-in-a-lifetime opportunity for the neighborhood. But without a community-led framework this opportunity would be squandered on the same model of development that has historically failed East Harlem and continues to fail low- and moderate-income communities across the city. After more than a year of community planning and research, we have created a detailed community vision plan that outlines a range of interlocking strategies and recommendations to transform the area. As City and State leaders continue to double down on commitments to climate change, aging infrastructure, public transportation, affordable housing, and economic development, the moment is right to take bold action on these issues and support a vision for an equitable and sustainable future in East Harlem. This plan serves as a guide to achieving that. The Institute of International Education Inc.